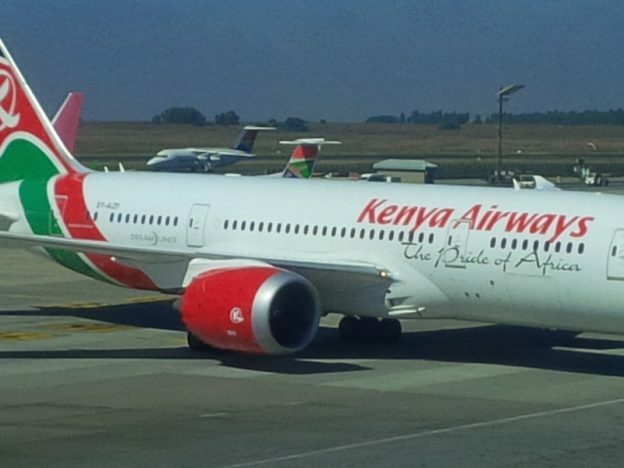 Kenya Airways (KQ) announced their full-year results in which they reported an operating profit of Kshs 900 million, an improvement from an operating loss of Kshs 4.1 billion the year before. But more significant was that idle capacity, such as from the large Boeing 777’s, and been jettisoned, reducing fleet ownership costs by 47%, and this combined with Operation Pride initiatives, had seen the airline achieve the gross profit after all the direct costs, fleet ownership costs and overheads. However after finance costs were factored in, the airline still had an after-tax loss of Kshs 10 billion, a great improvement from the Kshs 26 billion in 2016. These were the final results presented by CEO Mbuvi Ngunze who had announced his resignation and who is being replaced by Sebastian Mikosz from June 1. The airline is next expected to extend the restructuring program to the other side of their the balance sheet and address the negative capital position and high debt on the balance sheet. During the year they added new flights between Entebbe and Bangui and two new routes to Cape Town, via Victoria and via Livingstone. From October 2017, KQ will add 30 new flights to existing African destinations. On the cargo side, they are now flying flowers to new markets in Australia and China. This month, their Jambojet subsidiary acquired a second Dash 8 Q400 as the airline also got Kenya government permission for international routes, which could include Kilimanjaro, Mwanza, Hargeisa, Mogadishu, Goma, and Kisangani. This entry was posted in Kenya Airways, NSE investor awareness on May 26, 2017 by bankelele.